With Easter this weekend we decided to do some eater things in class. For writing we had to put cut up sentences about Easter back into order, before writing them down. For maths we had to solve addition problems to help us colour in Easter eggs. For Reading we had a shared book called Eggs, Eggs, Eggs. It was lots of fun. 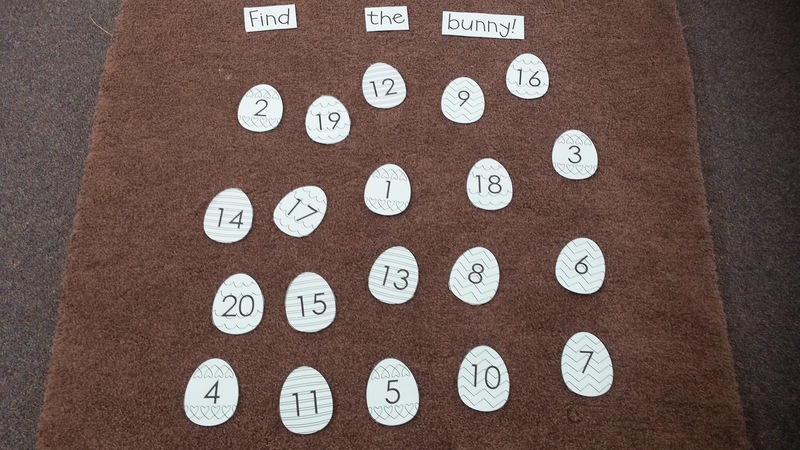 We also enjoyed this maths game below where we had to find the bunny which was hidden under the eggs. We had a few different ways to play this. Children in Room 5 for maths would simply be working on identifying the numbers. Children in room 6 could choose to either practice their numbers before and after, e.g. is it the number before 19 (18), or by practicing telling others how many tens and ones were in these numbers, e.g. 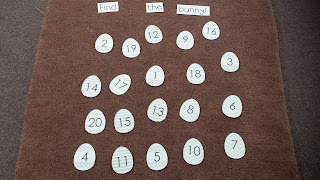 for 19 we would say... 'is it under the egg that has 1 ten and 9 ones?'. These are things we have been practicing in Maths.